When it comes to your home or your business, having the right security system in place is essential. but can also give you the peace of mind you deserve. through every step of the process. friendly team has the resources you need to protect your valuables. It's not just your business that needs protection - homeowners are also understandably keen to protect their assets. of security solutions and find out the best alarm for your requirements. systems - and help you choose a home security system that works with your home and your budget. 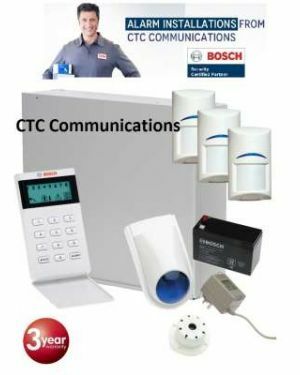 Connect O2 range and Tuxedo by Honeywell, to name just a few - CTC Communications has a great range of options to choose from. 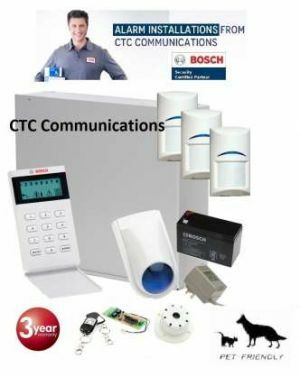 + Why Choose CTC Communications? Our installers are fully licenced Security technicians. NECA Member: National Electrical & Contractors Accociation. We are a Platinum Certified Partner with Bosch Security system and can obtain discounted pricing for their products. We use an recommend Risco for all our fully wireless security installations with integrated CCTV snap shot technology. We are an award winning local trade. 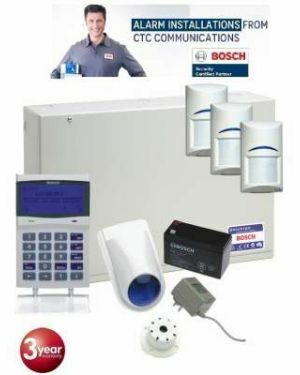 We can offer Certegy Ezi-pay payment plans, for all of our Alarm, intercom and CCTV packages. We recommend Kane Electrical Solutions.